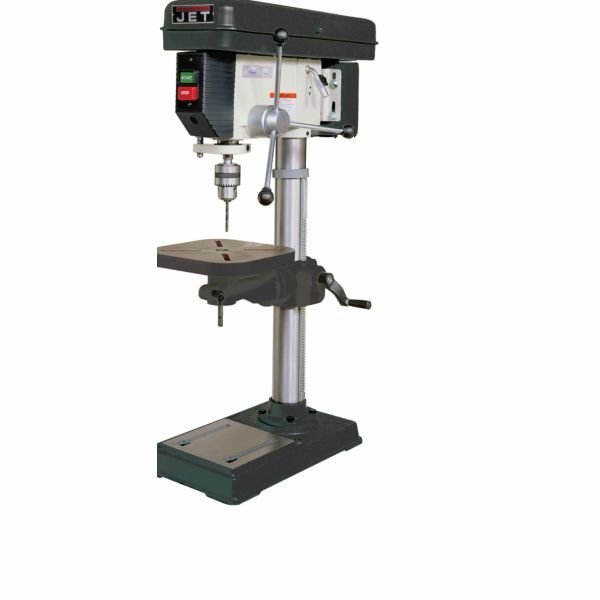 The J-2530 Jet Drill Press boasts a 45” tilting table and a cast iron head with a large quill - allowing greater accuracy. Features a permanently lubricated heavy duty ball bearing (4) spindle assembly in an enclosed quill for longer life & accuracy. The large ground steel column gives maximum head and table support. Hinged metal belt and pulley cover; Accurate depth stop displays inch/mm and has a quick set bolt for fast accurate adjustments.